Welcome to a BEAUTIFUL home nestled in a very quiet Cul-de-sac within Arrowwood. Surrounded with Quality and Craftsmanship with no detail overlooked. 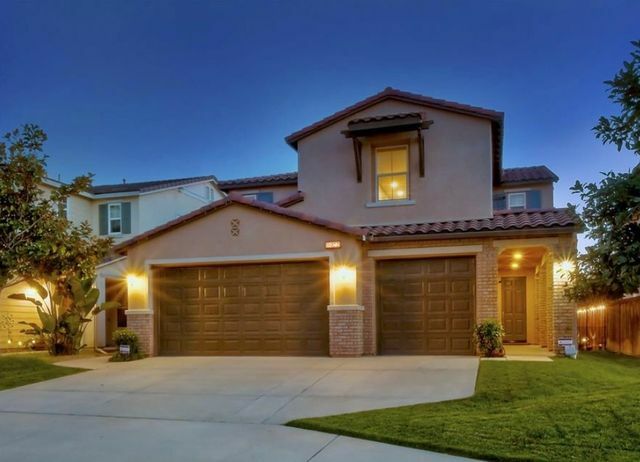 Boasting High Ceilings, An Open Floorplan, HUGE Family Room open to the Kitchen, 4 Bedrooms. Equisite finishings inside the home. An OUTDOOR OASIS awaits with a very private 10-person Spa, Built-in BBQ, 3-Hole Putting Green, Pool Table, Koi Pond, Lush Landscaping and a Cozy Fireplace. Please see supplement for the numerous upgrades, additions and details. 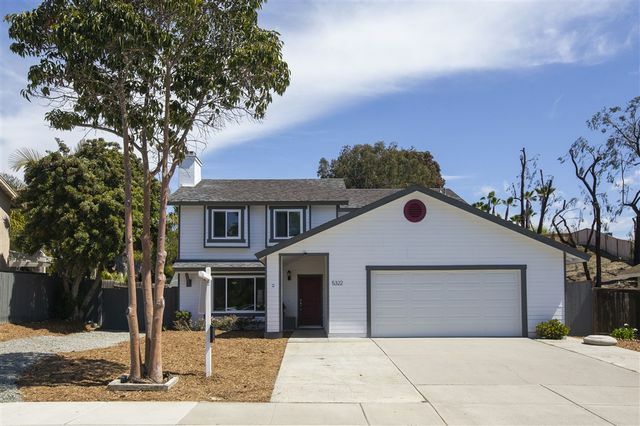 You will adore this beautiful Arrowood home, perfectly situated on a corner lot. The kitchen features granite counters, gorgeous tile floors, a spacious pantry, recessed lighting, and an island. Set off the kitchen is a breakfast area and family room with a gas fireplace. Upstairs you will find a spacious 'great room', large master suite and 3 other large bedrooms. Outside, you will find plenty of room to entertain and dine with a built in bbq island, waterfall, and "palapa style" covered dining area. 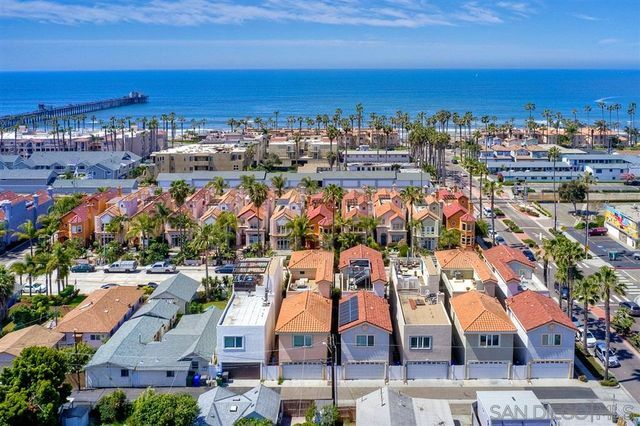 This Stunning Row Home is located two short blocks from the beach in the heart of downtown Oceanside and is a must see. Enjoy Ocean and Sunset views from the roof top deck. Beautiful custom stone work fireplaces, no expense spared custom remodeled master and guest baths, surround sound in the family room and master bedroom. Custom Sunburst Shutters through out, epoxy finish garage floor and a completely paid for Solar System installed in 2017. Too many additional custom features to list. Charming, Remodeled down to the studs! Roof, Flooring Electrical, Plumbing Kitchen, baths. 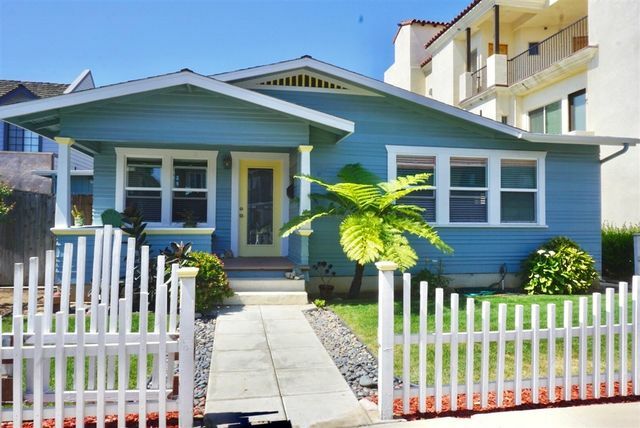 Beach Bungalow just blocks from beach, pier, harbor, and downtown Oceanside library, restaurants, shopping and theaters!!! Great 3 bedroom 2 bath or easy to partially convert & have a 1 bed 1 bath rental complete with its own yard and private entrance. Also, zoning D-9 provides options, including multi-unit. Build 2 units in back while living in the home in front. Parking behind home will accommodate 4-5 cars.